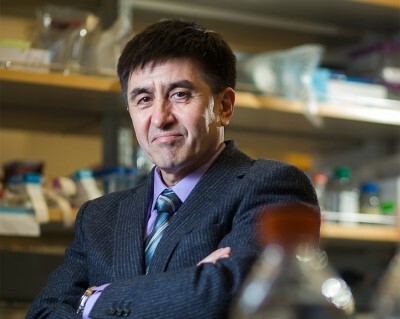 Shoukhrat Mitalipov’s group has finally hit back at critics who disputed the interpretation of experiments in which a potentially fatal genetic mutation was corrected in human embryos. Sofia Makieva reports. In the initially reported experiments last year, IVF embryos were created for research with donated oocytes carrying a wild type copy of the MYBPC3 gene and sperm from affected heterozygous donors. As expected, half the embryos were homozygous wild type, hence healthy, when analysed at the eight-cell stage. When the oocytes were subjected to simultaneous injection of spermatozoa and CRISPR components targeting the paternal mutated allele, production of healthy embryos increased by 22%. Of the 58 human embryos fertilised with sperm carrying the MYBPC3 mutation, 42 were successfully edited to contain two normal copies of the MYBPC3 gene. The efficiency of the technology did raise eyebrows, however, because mosaicism and off-target changes - which were notably not present with this simultaneous injection approach - usually present a challenging roadblock in CRISPR experiments. What further raised concern was the idea that homologous repair might actually explain the decrease in the production of unhealthy embryos. The Cas9 enzyme should induce double strand breaks (DSB) at the mutation site, which are preferentially repaired by non-homologous end joining (NHEJ). NHEJ frequently causes DNA deletions, which can create an allele’s loss of function. However, if a DNA template is provided – in Mitalipov’s case a synthetic single-stranded sequence of the wild type MYBPC3 – the cells should use it as a template to repair DSB with HDR rather than NHEJ. Mitalipov’s group argued that instead of the synthetic copy, the maternal double stranded gene version served for the reconstruction of the paternal allele by HDR. Egli et al from Columbia University were not convinced and in a brief communication in Nature later that year raised the notion that in early zygotes the parental genomes are physically separated in pronuclei, which makes templating from the maternal genome implausible. (3) He proposed that Mitalipov’s wild type result at genotyping could be explained otherwise. Either the Cas9-induced DSB was resolved into large deletions on the paternal allele causing it to go incognito. Or injection of the CRISPR-Cas9 activated the oocyte and stimulated division in the absence of fertilization resulting in parthenogenetic cells containing solely the maternal signature. The former alternative was confirmed in mice by Adikusuma et al from the University of Adelaide and also published as brief communication in Nature. (4) The group repeated Mitalipov’s experiments with slight, yet key, protocol modifications and found large DNA deletions on the mutation site as a result of the CRISPR-Cas9 action. Both groups challenged Mitalipov to exclude the possibility of deletions on the paternal allele, a detrimental outcome for embryo development. Undeterred, Mitalipov’s group bounced back with more experiments reinforcing HDR in CRISPR-fixed human embryos. First, they ruled out large deletions on the paternal allele. To do so, they used the mosaic embryos produced by their second but less efficient approach whereby CRISPR-Cas9 was injected into zygotes. They analysed the wild type blastomeres of these mosaics alongside control blastomeres coming from homozygous wild type or heterozygous mutant embryos. A long-range PCR amplifying various fragment lengths surrounding the mutation site returned expected gel bands confirming the absence of large deletions in all tested samples. The authors also showed that HDR governed by the maternal allele was extended beyond the site of the paternal mutation leading to the conversion of the neighbouring sequence. Indeed, re-analysis with single nucleotide polymorphisms (SNP) in healthy CRISPR-edited embryos revealed that one paternal SNP adjacent to the mutation locus was converted to the maternal variant while two distant SNPs on the genome remained paternal-like. The group also addressed the argument of pronuclei distance, stating that the timing of CRISPR action is not fully understood and the possibility of the construct acting closer to the window of first mitotic spindle formation is not excluded. The saga is far from over. Mitalipov claims they achieved similar results when manipulating another gene and invites further dialogue to shape an understanding of complex DNA repair mechanisms in human embryos. As for now, it is uncertain if HDR occurs in all or some embryonic cells, which is one reason why CRISPR is still too unreliable for use in fertility clinics. Bioethicists remain concerned about the technology opening the back door to eugenics, even though Mitalipov’s embryos seemingly ignore synthetic DNA and show preference for maintenance of parental material. What does seem certain is that scientists must still get the science right before considering the pros and cons of the technology and evaluating its implications in reproductive medicine. 1. Ma H, Marti-Gutierrez N, Park S-W, et al. Correction of a pathogenic gene mutation in human embryos. Nature 2017; doi: 10.1038/nature23305. 2. Ma H, Marti-Gutierrez N, Park S-W, et al. Replying to D Egli et al. Nature 2018; 560: E10–E23. 3. Egli D, Zuccaro MY, Church GM, et al. Inter-homologue repair in fertilized human eggs? Nature 2018; 560: E5-E7. 4. Adikusama F, Pittz S, Corbett MA, et al. Large deletions induced by Cas9 cleavage. Nature 2018; 560: E8-E9.